Glad you like the display. Unfortunately we had to do what we could with what the museum could supply on a very tight budget. The Mrs & I went to buy some tickets for the Wings & Wheels today. With the Mirage IIIR2Z moved into the base, I could for the first time, get a full shot of the Vampire. The Junkers Jumo engine is back. Mrs kremlin with Corporal Chloe. What's that torpedo sticking out of the missus' left ear? Mk 30 torpedo from a Shackleton. recovered after airdropping. Didn't they go out of service in the sixties? Last edited by Doug on 30 Jun 2017, 23:44, edited 1 time in total. Some very nice pics, Doug. I recognise a few of the faces. Steve Mc Lean, Louis Vosloo and Greg Pullin. I suspect the one chap might be Allistair Johnston? Maybe Dean can help ID the rest? I was way too young back then. 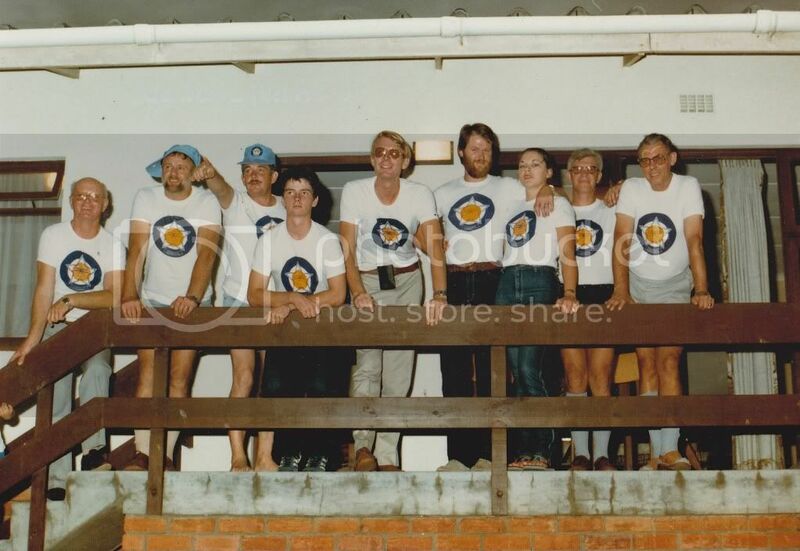 L To R: Rob ?, Eddie Gillen-Buchert (Richard Hellyer's brother in law and former OC of Wingfield), Richard Hellyer, Steve McLean, Louis Vosloo, Greg Pullin & Joy, Evert Loo (Jannie's son-in-law) and Jannie Jansma. 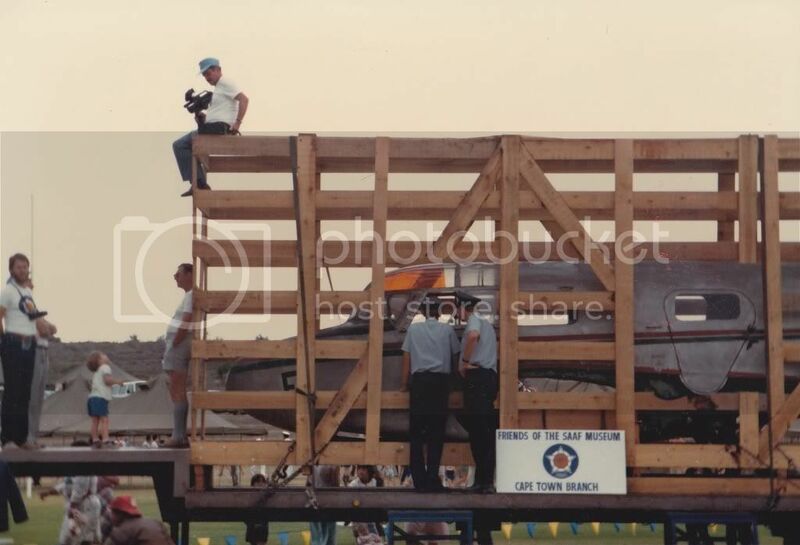 Taken at Blue Water Bay holiday accomodation in March 1982 when the Friends displayed at the Military Academy Open Day in Saldanha. Thanks Dean...I was looking for this old email (on another computer of mine which died!) So the names are there, and ofcourse we are now able to confirm the Date March 82 AND the venue....Saldanha. 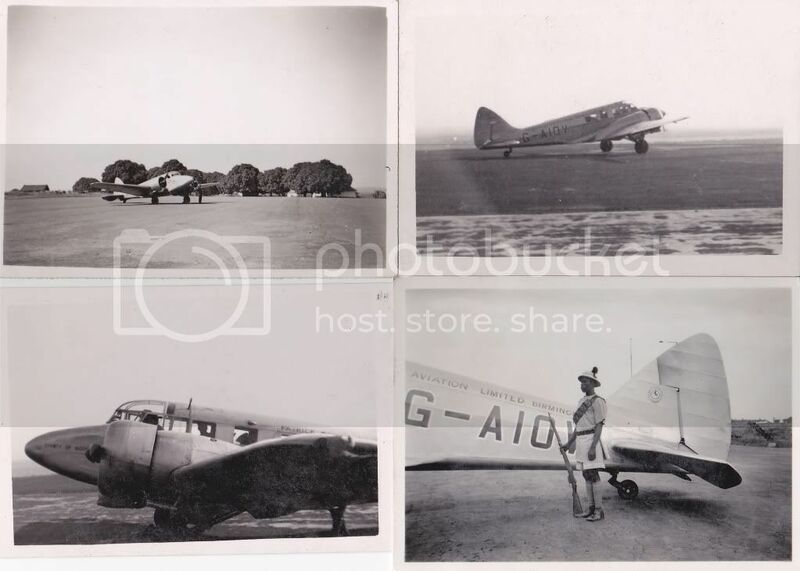 Was not sure where to post this, but following on from the pics of the Airspeed Oxford which was in SAAF service, I came across these very small B&W prints which I believe I got from a great aunt. 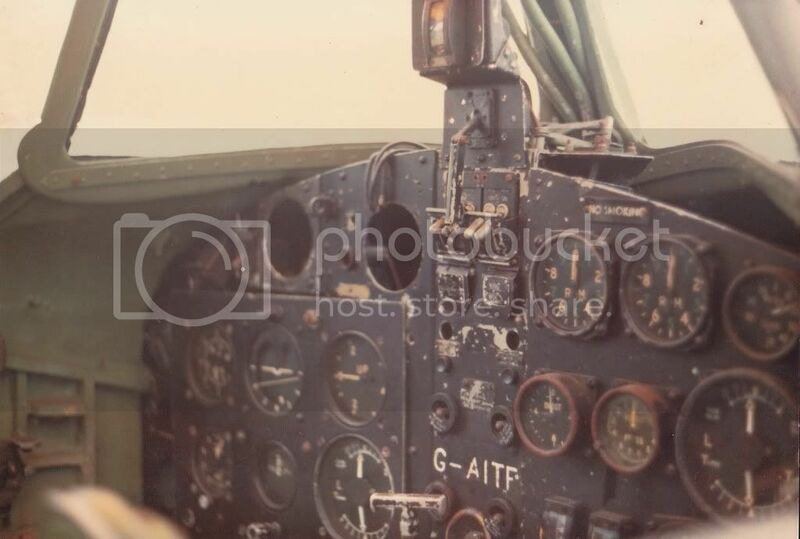 They are of an Airspeed Consul, which was the predecessor and civilian version of the Oxford. It does have an Africa (East? )connection as can be seen from the guard in one of the pics. Registration is G_AIOV. Where is that Oxford now? Rodgertd: Sorry no idea where Oxford is now. 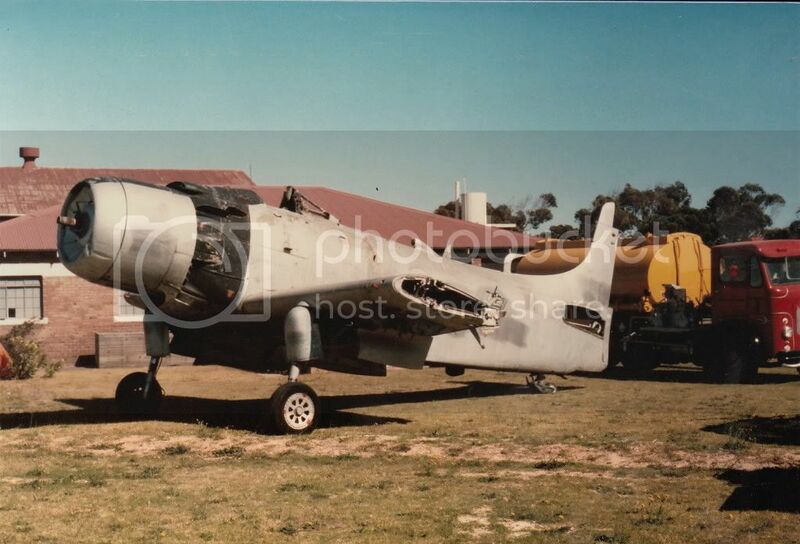 Here are a couple of pics taken in the early days of the Friends of the SAAF Museum Cape Town. The AAA had been captured up in Angola apparently. 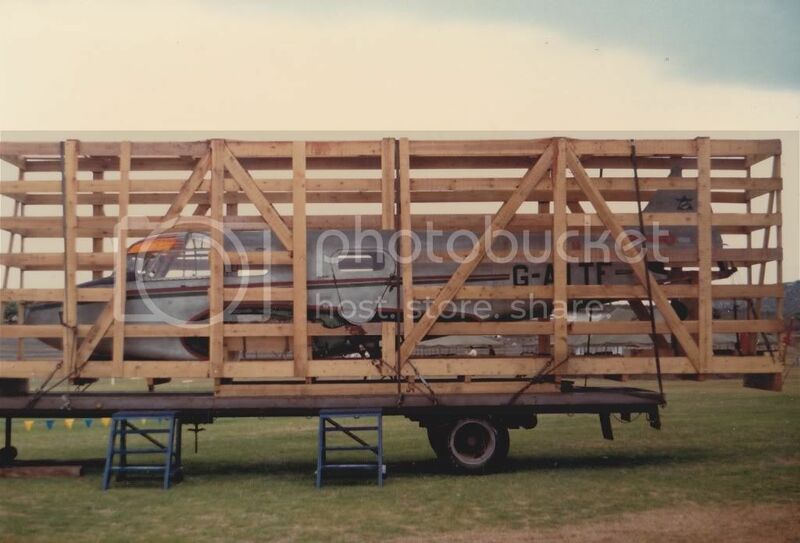 The Leyland Hippo Aircraft Refueller - a museum piece in its own right - was a donation I arranged from my Company - (Mobil Oil) to the museum. And that Spad? Where's that from?